The losses are continuing to mount as more coal companies report their second quarter earnings. Cloud Peak Energy announced a $53 million loss for the quarter Wednesday, while Arch Coal reported a $168 million dollar loss Thursday, following on the heels of Peabody Energy's $1 billion loss on Monday. All of the companies' production was affected by unusually heavy rainfall in the second quarter, along with low natural gas prices that further weakened demand. Natural gas and renewables have been increasingly replacing coal-fired power around the country, with natural gas even surpassing coal as the country's main source of electricity in April. “We will have to accept that the [coal-fired power] plants that close will not be coming back, which is why we are continuing to adjust our coal output to match reduced domestic demand,” Cloud Peak CEO Colin Marshall said in a conference call with investors. Marshall added that the federal Clean Power Plan, which is expected to be released next week, will likely result in more plant closures. He said regardless of whether lawsuits against it succeed or not, utilities are moving away from coal in their long-term plans. But Arch CEO John Eaves was more bullish, despite the company's weak financials. “Supply is coming off much quicker than we ever anticipated, particularly in the eastern United States,” he said in a conference call with investors, adding that he anticipates prices rebounding a result. It remains an open question though whether prices will rebound soon enough for some companies. Bloomberg News reported Thursday that Alpha Natural Resources, another large miner in the Powder River Basin, could declare bankruptcy as early as Monday. In the latest sign of a shaky future for the nation’s first coal-to-gas conversion plant, one of the project’s major investors has written it off as a loss. Ben Storrow of the Casper Star-Tribune has been following the development and spoke with Wyoming Public Radio energy reporter Stephanie Joyce about what it means for the future of the project. STEPHANIE JOYCE: So, to start, for any of our listeners who might be at little fuzzy on the details of the DKRW Advanced Fuels project, can you give us the 30-second overview of its history? Arch Coal executives expressed frustration with the nation’s two biggest railroads during a conference call with investors Tuesday. 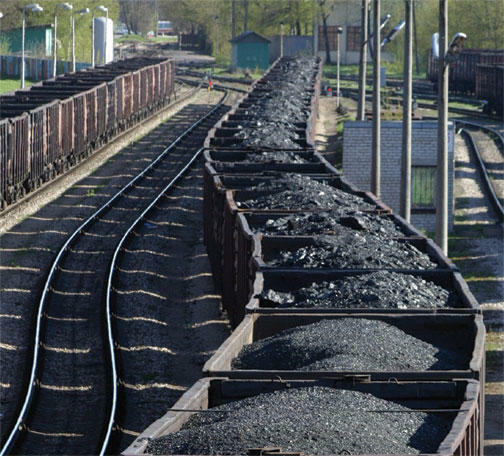 Coal shipments out of the Powder River Basin have been delayed in recent months because of congestion on the BNSF and Union Pacific main lines. Arch Coal CEO John Eaves said it’s hurting the company’s earnings. Peabody Energy suspended its shareholder dividends Tuesday after announcing a $1 billion dollar second quarter loss—the latest in a streak of bad earnings reports. 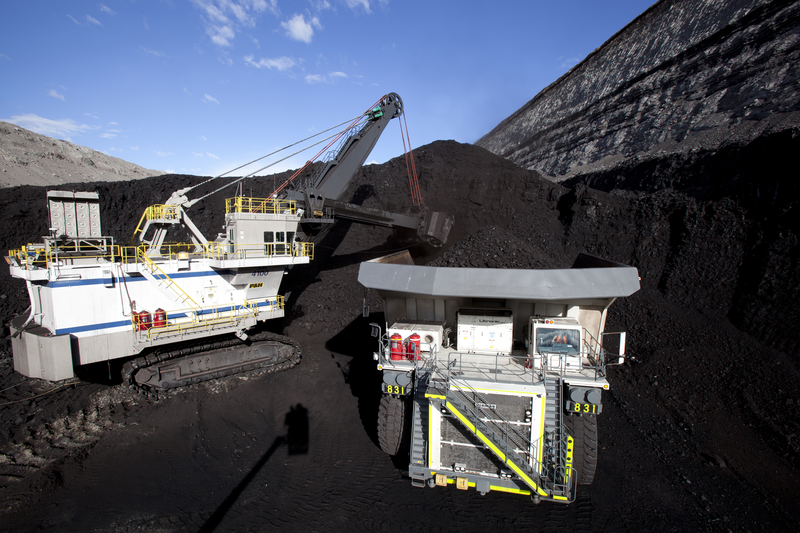 Peabody is the world’s largest coal miner, with operations in Australia and across the US. Like many of its peers, it's been hammered recently by low natural gas prices, slumping demand for metallurgical coal and uncertainty surrounding new environmental regulations. In the latest sign of a struggling US coal market, one of Wyoming’s largest coal producers has failed a financial test from the state. 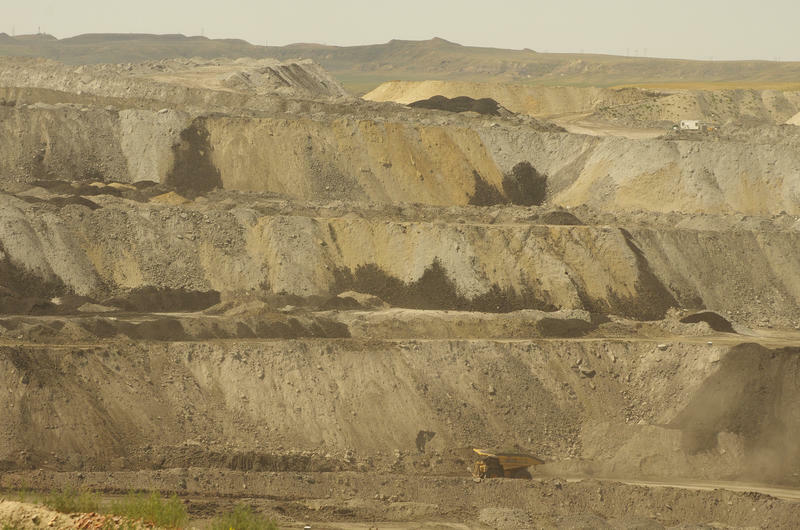 Alpha Natural Resources owns several large coal mines in the Powder River Basin. Mining companies in Wyoming are typically required to post bonds assuring regulators they can reclaim or clean up the mines when they’re abandoned. But under a provision called “self-bonding,” companies meeting certain financial criteria don’t actually have to put up the money. The New York Stock Exchange suspended trading of Alpha Natural Resources Thursday amid concerns about bankruptcy. Alpha owns the Eagle Butte and Belle Ayr mines in Wyoming, and is one of the nation’s largest coal producers. The company has struggled in recent years because of low coal prices and considerable debt, and the Wall Street Journal reported Wednesday that it's in talks about bankruptcy financing.